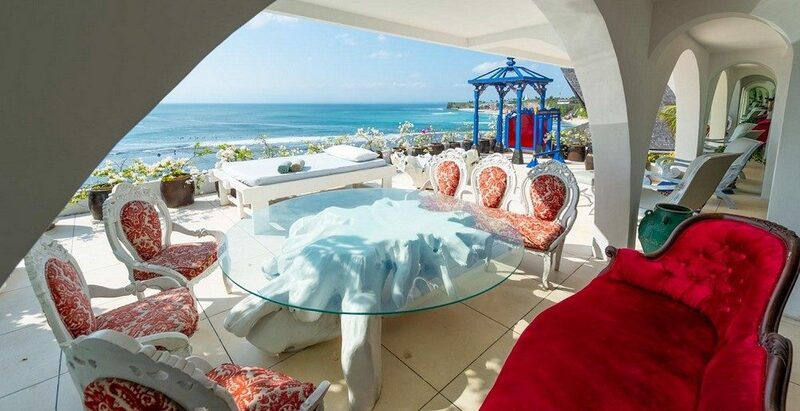 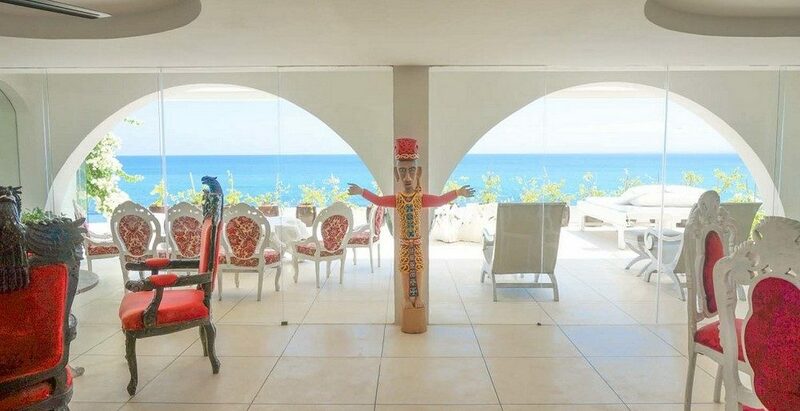 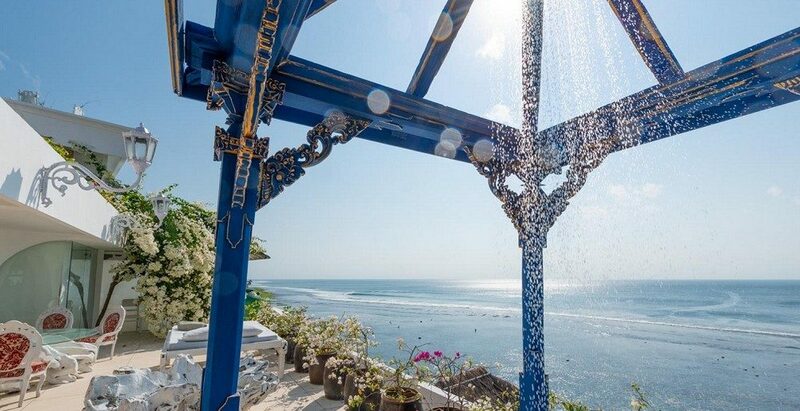 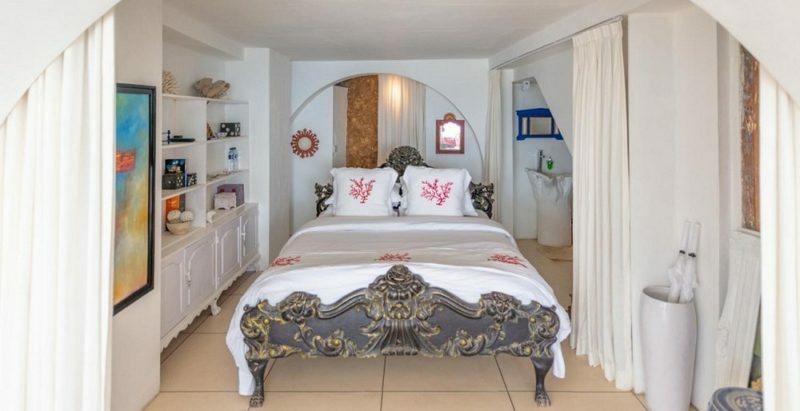 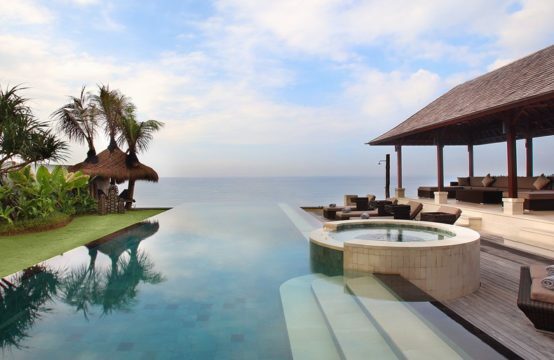 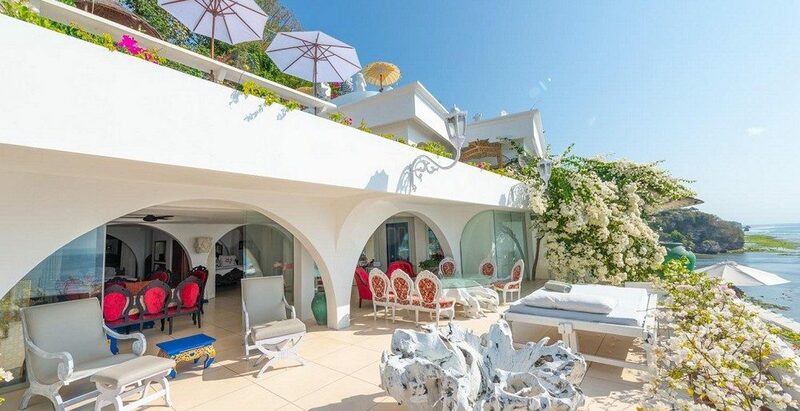 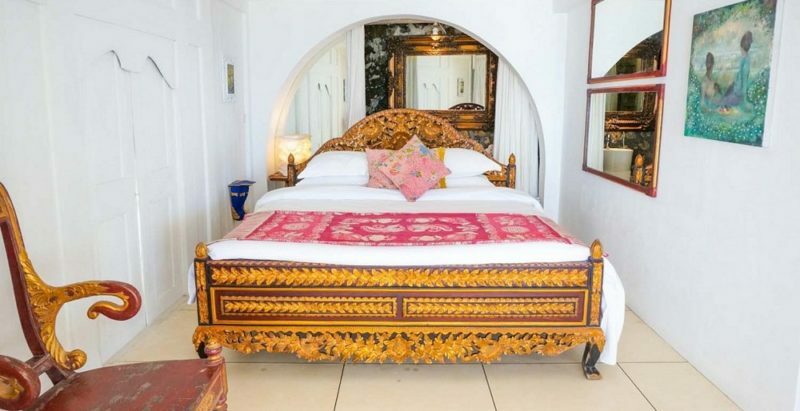 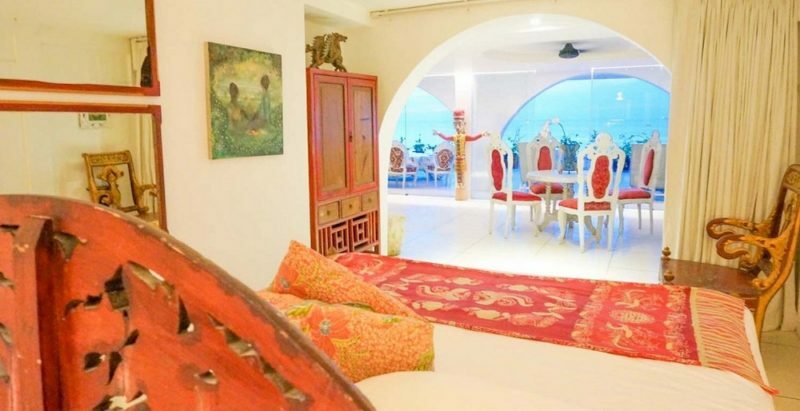 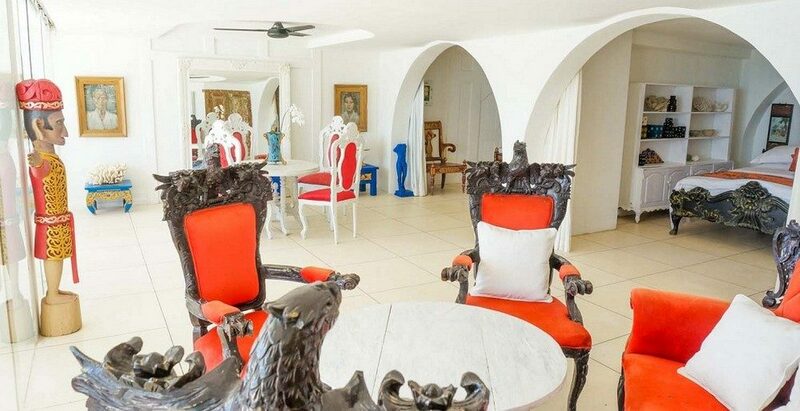 Located in Morabito art cliff, Capri Loft has two Bedrooms. 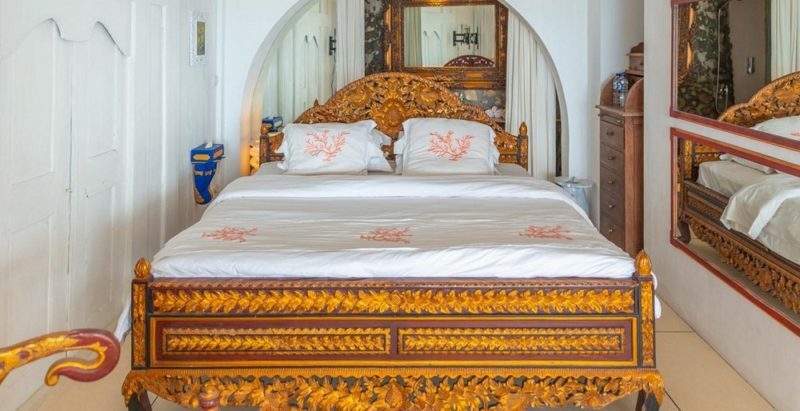 the first Bedroom is beautiful and romantic bedroom, opened on the living with view on the large terrace overlooking the Indian Ocean. Set on 23m2 with 1 king size bed, Individual controlled air conditioning, hair dryer, in room safety box, bathroom. 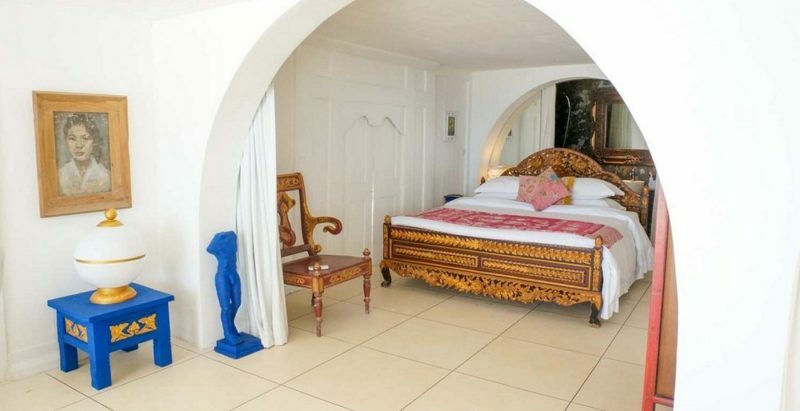 And the second bedroom is Simple and confortable, decorated with taste, Capri Bedroom 2 also opens on the living with view on the large terrace and on the Indian Ocean. 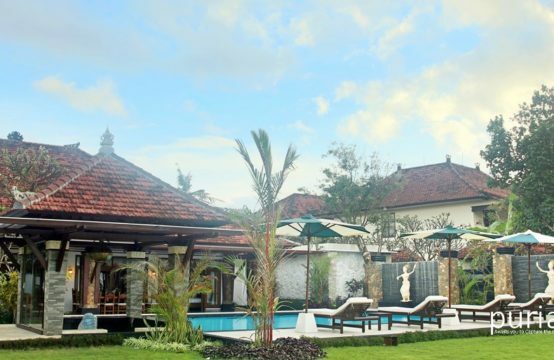 Set on 27m2 with 1 queen size bed, Individual controlled air conditioning, hair dryer, in room safety box, bathroom. The living room is a 35m2 area with, wifi, dining space, living and some of Pascal Morabito’s personal art collection. 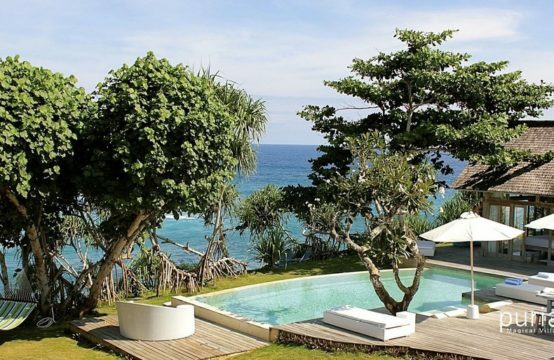 All open on a terrace overlooking Bingin’s famous waves.